I’m not generally one for military history, but this is a little gem of a book. 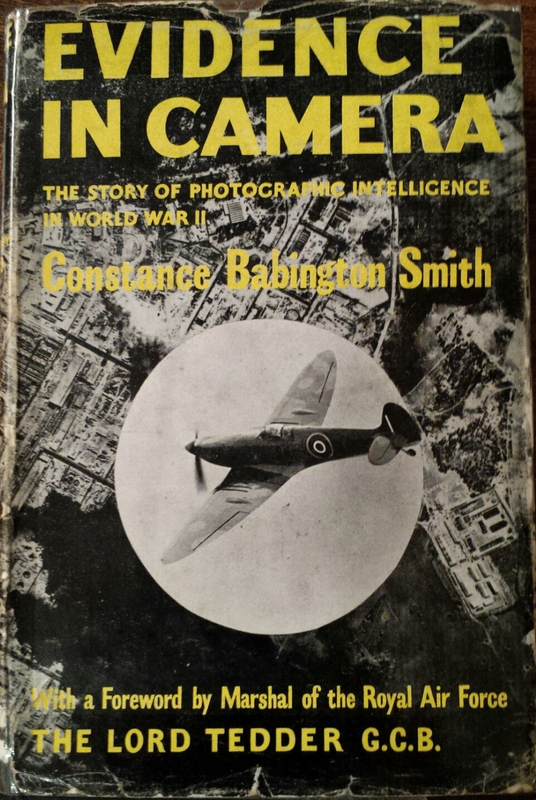 It charts the development of photographic intelligence in World War II and is chock-full of anecdotes that take it beyond the usual “and then we went here and killed people, then we developed new ways of killing people, and then we went and killed more people” narratives of military history. It starts at the beginning of WWII with the set up of the first unofficial photographic unit, by an Australian maverick called Frederick Sydney Cotton. As Babbington Smith puts it “If Frederick Sydney Cotton had lived a few centuries earlier, he would have made a splendid buccaneer” (p18). The machinations of Cotton and his team are full of derring-do as they gradually prove their value to first the RAF then the Navy and finally the Army. Cotton’s approach was a mixture of charm and bullishness that seems to have worked wonders. Based upon his initial success, Cotton set up a unit that was semi-independent of the RAF and which revelled in its lack of deference and general swashbuckling approach to life. Indeed, at one point he “conferred upon certain of his team a secret badge, bearing the cryptic symbols “C.C.11”. Only the initiated knew that “C.C” stood for “Cotton’s Crooks”, a nickname which originated because some of the Heston personnel were very good at acquiring things without going through the official channels, while “11” referred to the ‘eleventh’ commandment: “Thou shalt not be found out.” (p52). This was great fun until June 1940 when the RAF decided that they needed to bring it more formally under their control. So it was out with Cotton, and a promotion for Geoffrey Tuttle who wisely took over the unit but still allowed a bit of a ‘flying club atmosphere’ – blue suede shoes were fine as long as you brought back good images. And from here the department grew and grew. Alongside introducing us to some of the key people, this early part of the book also takes us through some of the technical developments that were necessary to get good photographs and the challenges faced by a team who initially lacked resources, planes and sophisticated cameras. The next stage of the book moves us on to considering how the photos, once taken, were interpreted. This is where Babington Smith joins the story, as part of a team of interpreters. It is great to see many women appearing in this story and playing a significant role, even if Cotton’s justification for using women was that “looking through magnifying glasses at minute objects in a photograph required the patience of Job and the skills of a good darner of socks.” But what amazed me about this is the astonishing knowledge the interpreters had to have. Babington Smith states at one point that a good interpreter could look at a picture of some cross-roads and tell you immediately “that’s outside Bremen” based on the field patterns and wotnot. Absolutely incredible when you consider the vast areas they were watching. There is another great section on how the interpretation of photographs taken by bombers at night, over the areas they had just bombed, discovered that only one aircraft in every four actually got within 5 miles of its intended target – and that was for the most efficient crews. As you can imagine, this upset Bomber Command no end. This is the sort of book that prompted me to stop in the middle to share photos and nuggets of insight with the ever patient E. The most interesting was of the stereographs that they used to make the photos look 3D. Apparently these were still in use when E did her geology degree – a good long time after the end of the war! The latter part of the book moves on to the expansion of the unit and the impact the aerial photography had on the war, for example the devastating effect it had on the Italian navy, leading one Italian Admiral to comment “no one can play chess blindfolded, we never knew where the Allied navy was. But the Allies knew the exact position of every unit of our fleet at all times” (p140). I also learnt about Hitler’s Operation Sealion, which I had never heard of before, but which involved nearly 2000 barges and ships being readied at Boulogne, Calais and Dunkirk to attack Britain. These had all been spotted by the aerial photographers and caused such concern that on September 17th, 1940, Churchill told Parliament “At any moment a major assault may be launched upon this island”(p78). In the end it didn’t happen, as over this period the Battle of Britain was won and fought and the Luftwaffe failed to gain supremacy of the air to support Operation Sealion, but terrifying to think it could have. I admit that I lost interest slightly when we moved into the story of how the American slowly began to get interested in war photography – perhaps because of a lack of the original bravado that was involved in setting it up in the UK. But my interest soon returned with the story of how they used the photographs to spot the German underground building program (no mean feat! ), while the penultimate chapter The Battle Against the V-Weapons had my heart racing. I particularly enjoyed the inclusion of some of the photos they were using so I could try out my own eyes on them. If, like me, you appreciate an interesting name, then this book is full of delights. I was happy enough enjoying the imagery of Maurice Longbottom and the pomposity of Frederick Winterbotham not to mention the sheer whimsy of General Doolittle, but for me the best name in the book, by far, was the glory that is Lieutenant Commander Robert S Quackenbush. I generally think that really niche histories are the best kind – the Porthcurno telegraph museum, for instance, is another niche gem – and this book really didn’t disappoint. If you are interested in WWII, the development of aerial photography or would like a fascinating insight into the sheer complexity of one aspect of the war effort then this book is a must. Tags: Babington Smith, History, military history, photography. Bookmark the permalink. Brilliant review. Loved it. Where are you finding the time? Thanks! Well so far I’ve been on holiday since 1st January. Think it is about to get harder!